Although rugby doesn’t really pay unless you get signed by the Springbok squad, it’s a sport that most of us have no clue on when it comes to just how much it pays. Rugby is as true to South African culture as they come, but how much bacon do the guys in action take home for playing their hearts out? We did a little digging, and here’s what we found! According to Die Rapport, provincial rugby unions dish out quite a lot to keep their key players happy and engaged. Pun intended. Coming in as the best-paying club, the Western Province Rugby Union is at the top of the performance ladder and has a cool R78 million to spread out among 128 contracted players annually. This comes down to players earning an average of R609,375 per year. The Blue Bulls pay their players an average of around R405, 331 per year. The Bulls have a budget of R68 million for 151 players annually. Neighbouring union, the Lions, play the field with a budget of R66 million per year for 117 players, which boils down to R564,103 per player. Coming in at fourth place is the Durban-based franchise, the Sharks, with an annual budget of R65 million between 111 players. The underdogs, PE-based Southern Kings who now play in the European PRO14 group, only has a budget of R12 million per year for 68 players. Playing for this side can see you earning a mere R176,471 per year. On average, a South African rugby player makes R1,055,440 per season of Super Rugby, obviously excluding win-bonuses. The highest earning individual in South African rugby is Springbok legend, Tendai (Beast) Mtawarira, who pocketed a whopping R3,744,796 last season. We reckon that after playing 100 tests for the Boks and an astonishing international rugby career behind him, he deserves that paycheck through and through. Beast’s earnings, which exclude win-bonuses, are nearly double the average season earnings by South African Super Rugby players. 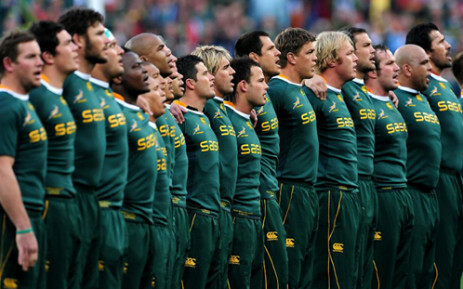 According to the Rapport’s findings, things are set to change massively on the financial front of South African rugby. In 2018, the country had 989 professional players. This adds up to an estimated R480 million in salaries on an annual basis. Once the new contracting system is set into motion, it will aim to reduce salary costs by R75 million or more. It will also reduce the contracted player pool to just 459 professional players. While not everyone can make the National team, you can still land your dream job in rugby. Or any sport for that matter. Head over to Adzuna right now and start browsing the listings for a chance of finding your lucky break! Tagged under: featured,	sports careers in SA.